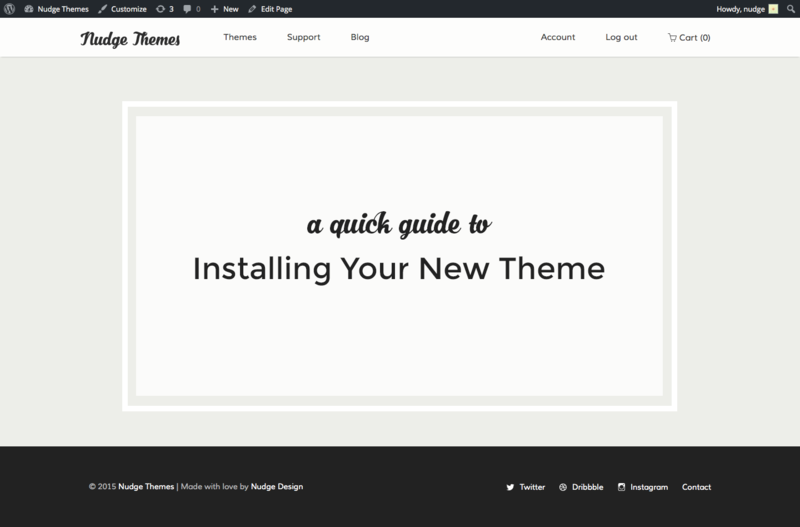 So you’ve bought a new theme. Congrats! But now what? Fear not. Here’s a quick guide to help you get it installed. 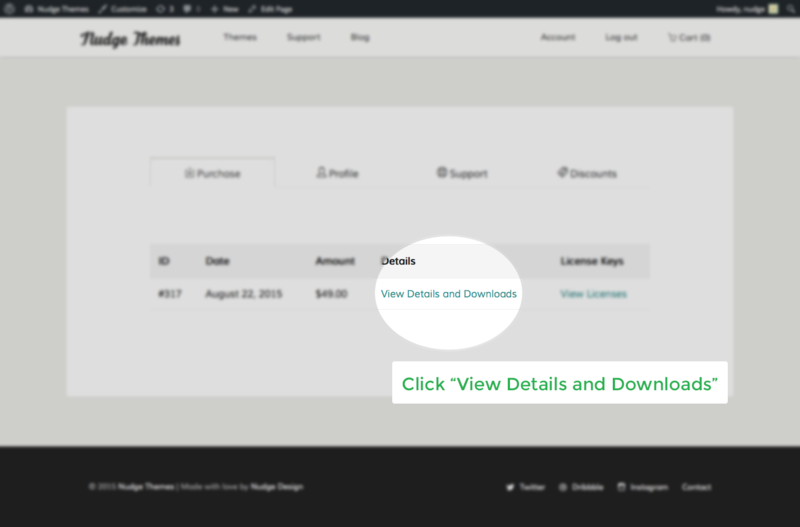 If you haven’t already done so, go to your Nudge Themes account page and click “View Details and Download”. 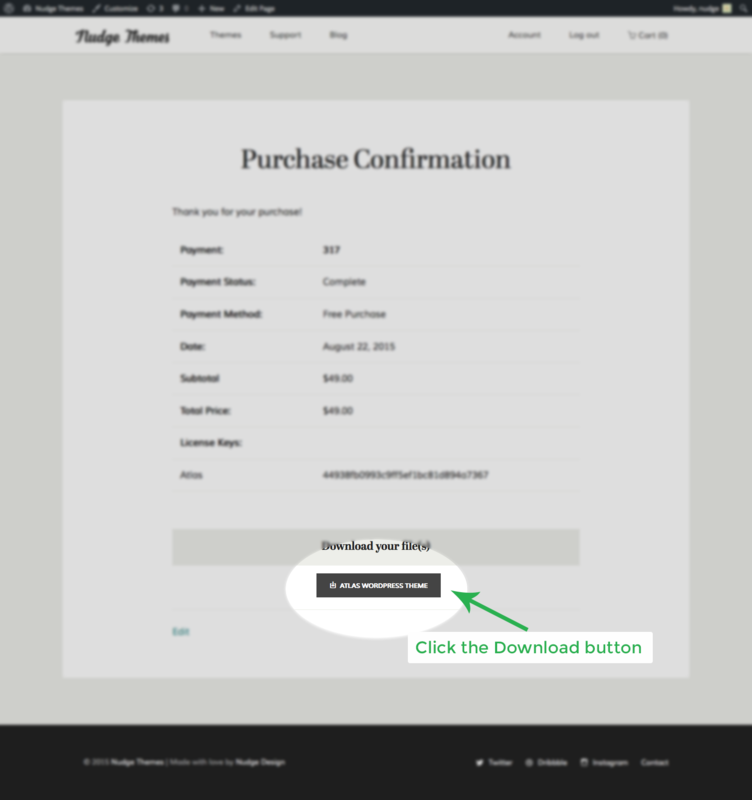 Scroll to the bottom and click the download link. Make sure you pay attention to where you save your zipped file! 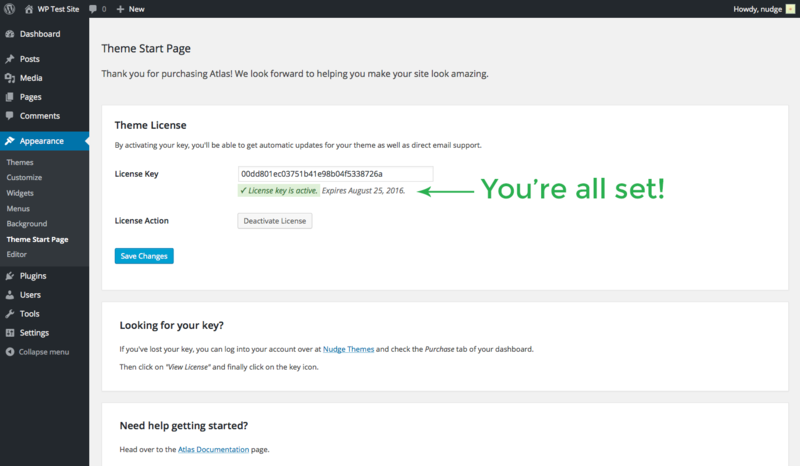 Now head over to your own WordPress site. From the Dashboard go to Appearance > Themes. From the top of the screen click the “Add new” button. 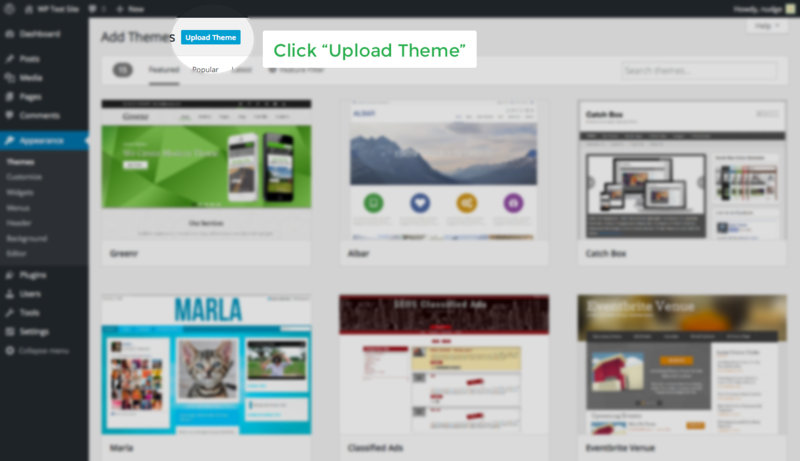 On the Add Themes screen, click the “Upload Theme” button at the top of the screen. From the next screen click the “Browse” you see in the middle of the screen. This will open up a window for you to browse your computer. Now you can go find the file you downloaded in step 1. Make sure this file is still zipped! This is what you want to upload. Now select it and click “Open”. Next click “Install Now”. Your new theme is now installed! 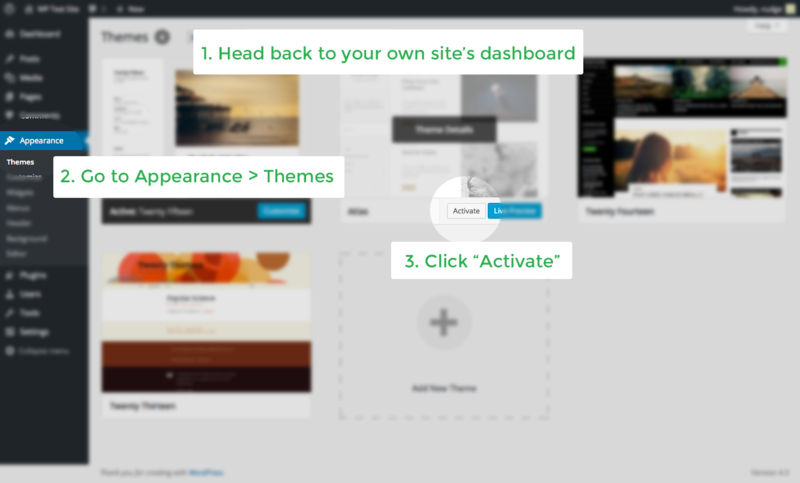 You now have the choice to see a Live Preview, Activate it or simply return to the Themes page. 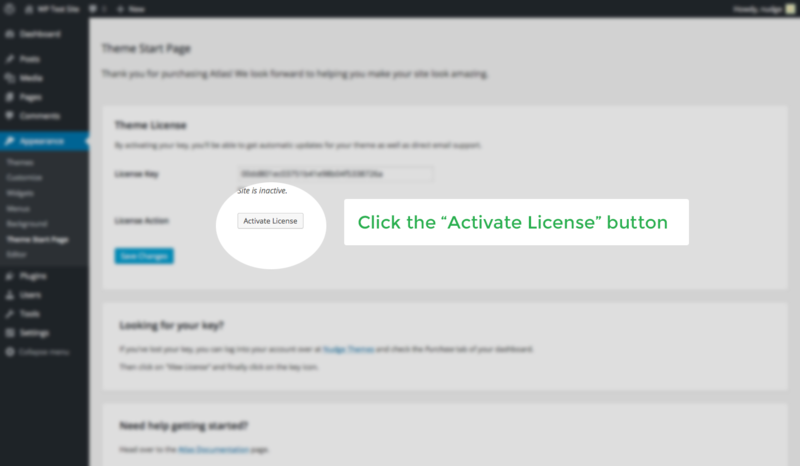 Now that you have your theme installed, you need to activate the license. This will allow you to download updates when they are available. 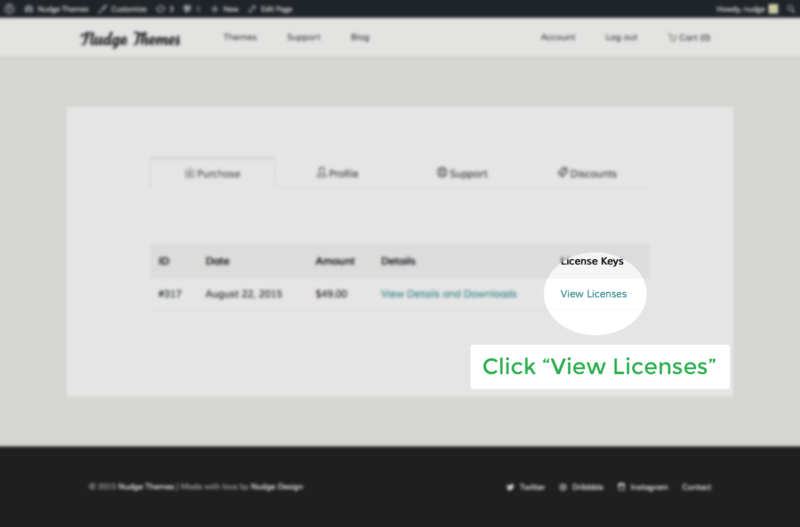 Head over to your Nudge Themes account page and click “View Licenses”. 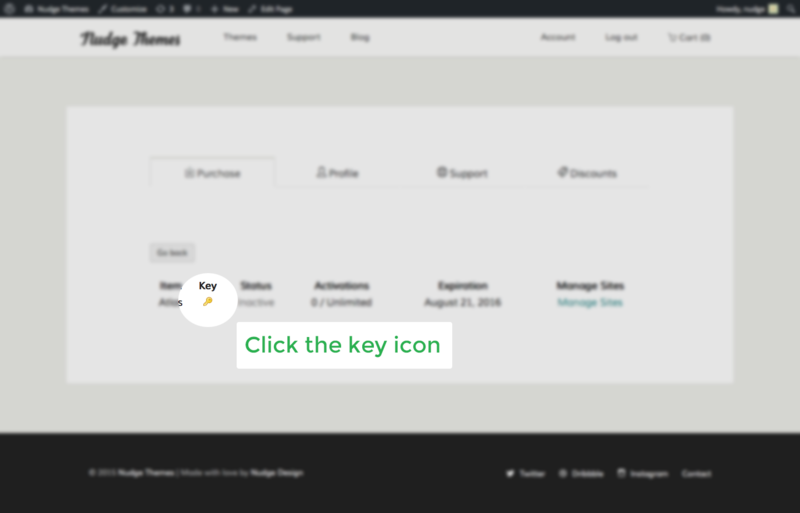 Click on the yellow key icon. A small window will pop up below it. Click inside that pop up. Right click and “Copy”. 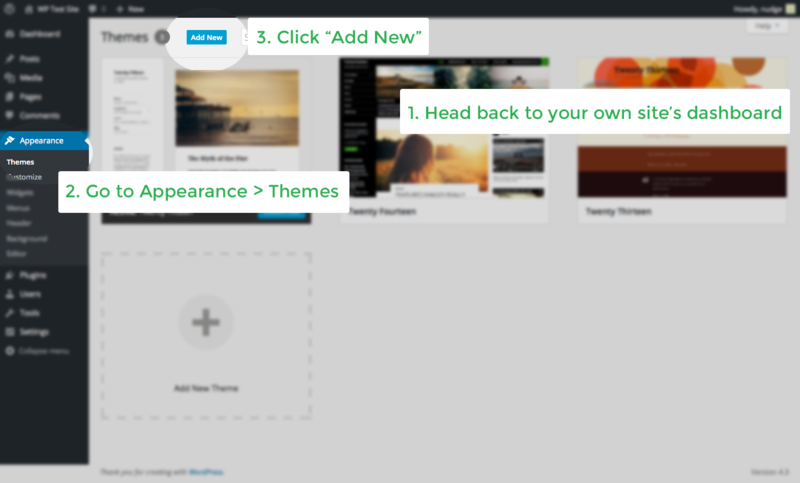 Now head over to your own WordPress site. From the Dashboard go to Appearance > Themes. 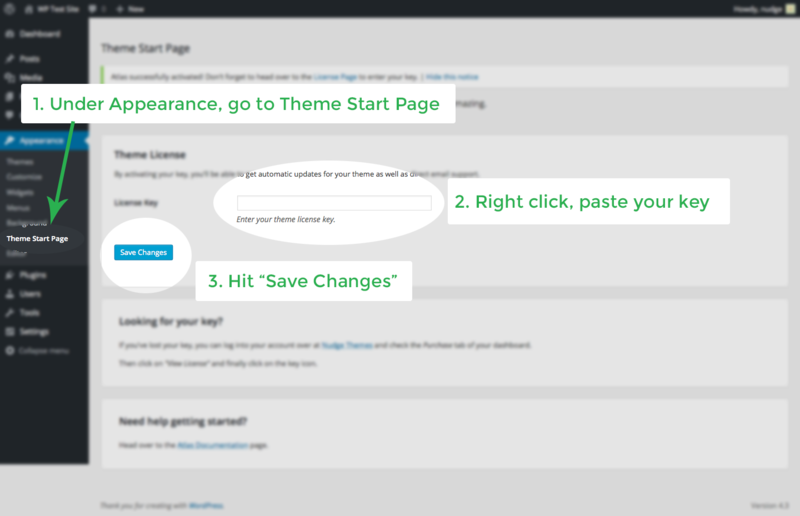 If you haven’t done this already, click “Activate on” your new theme. Next go to Appearance > Theme Start Page. 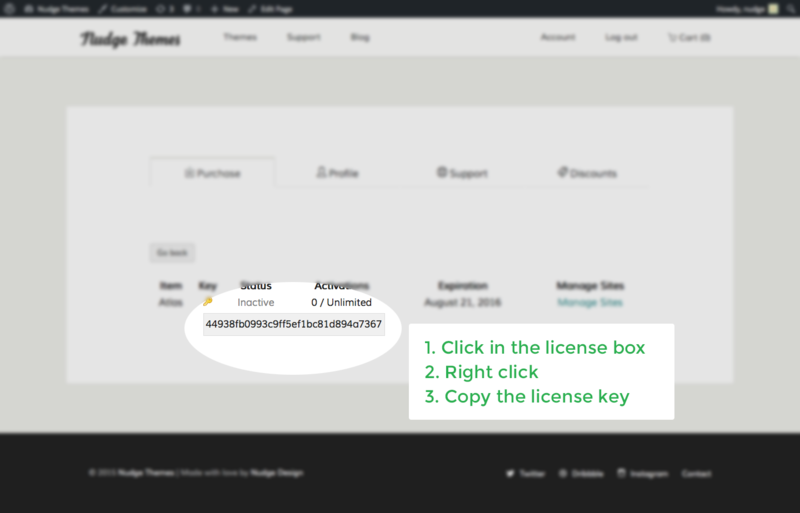 Click in the box you see marked as License Key. Right click and “Paste”. All done! 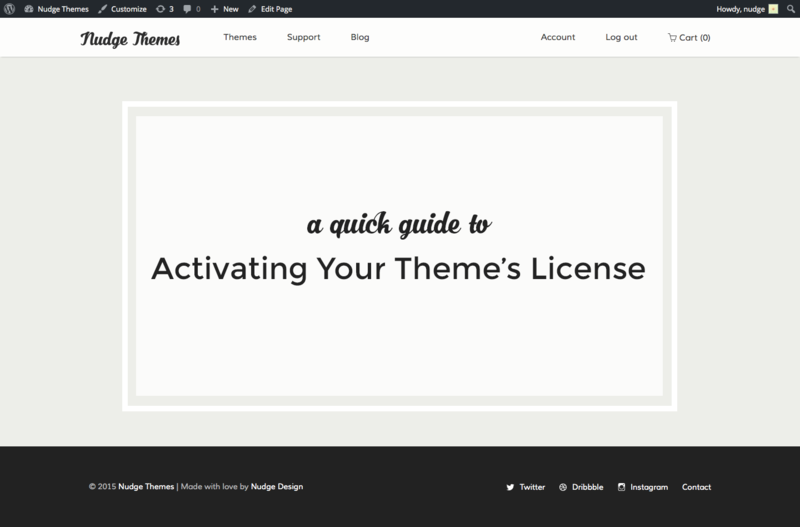 You’ll now get notified if there are any updates to your theme.